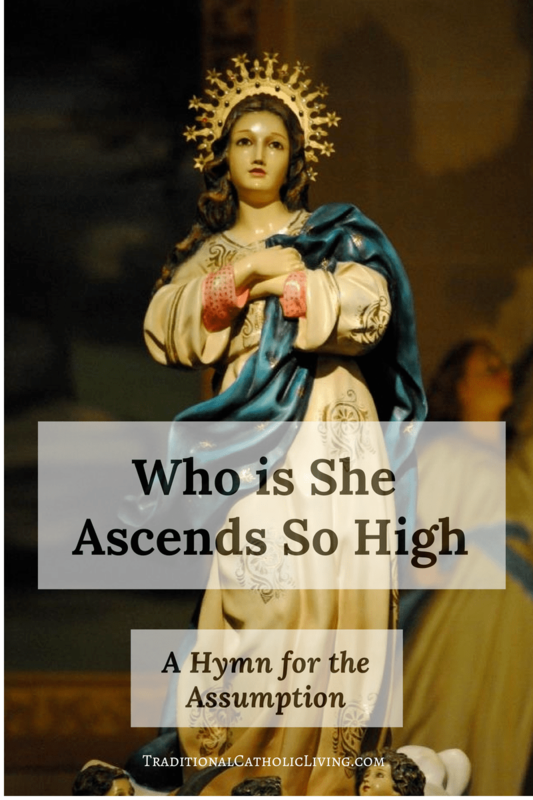 For the feast of the Assumption, I found this simple hymn from 17th century England. The text is by Sir John Beaumont (+1627), and the melody is by Corner (1631). It is hymn #105 in the St. Pius X Hymnal (1953). Welcome, Dalia! And you’re welcome! I’m so glad you found what you needed. What other hymns were part of your son’s music class? I’m always looking for more hymns to add to the blog. So happy to hear he is learning Maiden Mother…it’s such a sweet song, isn’t it?